your child are our specialties! A 45-minute program that starts with parent or adult participation. Social skills of sharing, waiting on line, and taking turns are encouraged and rewarded while exploring dance and play activities including pre-ballet, aerobic activities, and tumbling. 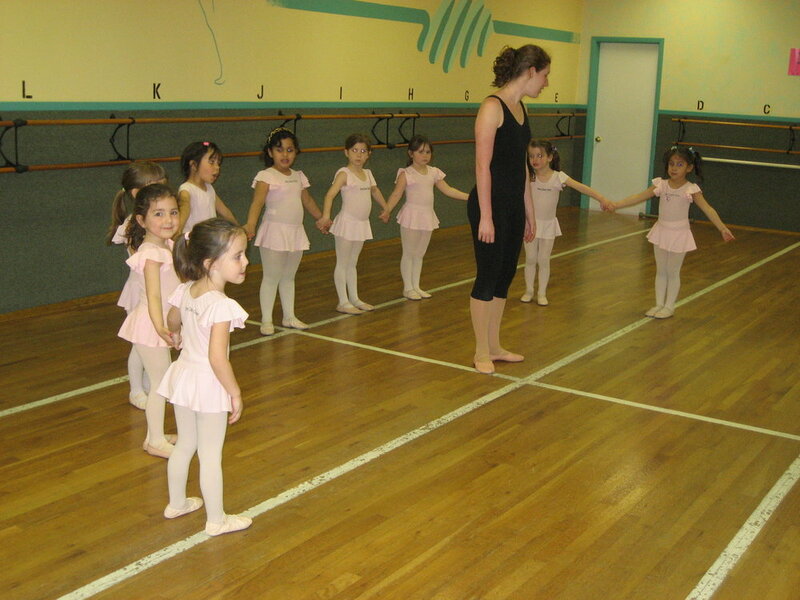 An independent 1-hour program for potty-trained students (no pull-ups permitted) that uses games and fun exercises to teach the fundamentals ofballet and dance through skipping, hopping, balancing, rhythm and coordination exercises. 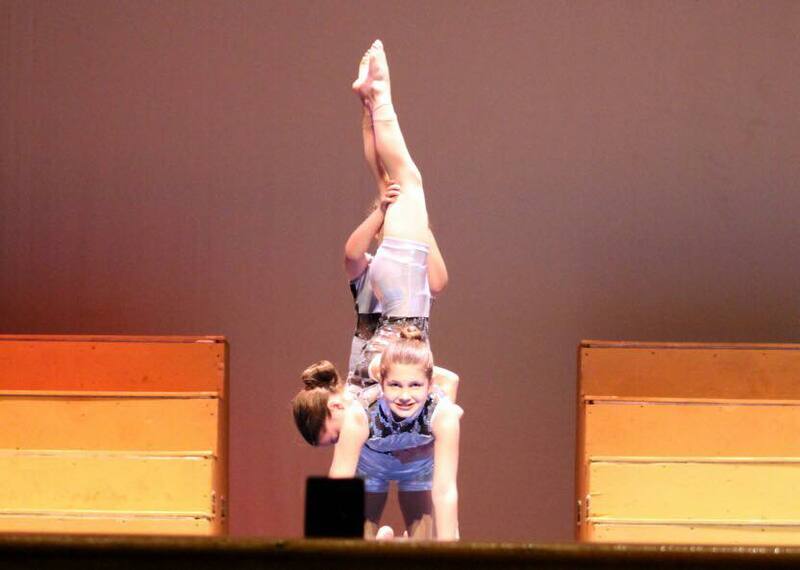 The tumbling portion of the program introduces the fundamentals of acrobatics and reinforces self-confidence. Simple songs and dances are presented in the annual production and to be sure - they steal the show! A 1-hour class of ballet and tap introducing formal dance training through proper terminology and technique. It's a fun approach to fundamental ballet technique and basic tap through repetitive movement and muscle memory. Initially the entire class wears a soft ballet shoe - after a few classes, hard work and effort is rewarded with tap shoes and students are ready to execute and hear the tap steps that they have been practicing. Both ballet and tap routines are performed in the annual production. A 1-hour class of ballet and tap (IA) or ballet and jazz (IB) which builds on the fundamentals of both dance disciplines. New terminology and technique are introduced and practice at home is encouraged for continuous progress. The fun songs and teaching methodology make class time a creative, educational, and fun environment. Both routines are performed in the annual production. A 1.5-hour class of ballet and tap (IIA) or ballet and jazz (IIB) devoted to building strong technique in a fun environment. More challenging terminology and proper technique encourages concentration skills. Home practice ensures continuous progress that is rewarded with self-confidence and personal accomplishment. Both routines are performed in the annual production. A 1-hour class for students to learn the most current trends in hip-hop technique.